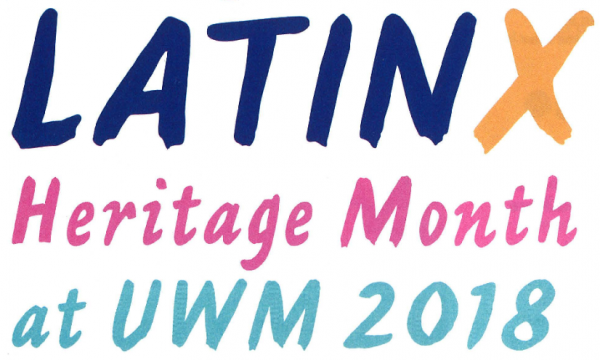 Latinx Heritage Month at UWM is coordinated by a team of campus stakeholders offering a variety of programs that recognize and celebrate the history, culture and contributions of people of Latinx, Afro-Latinx, Chicanx, Latin American, Caribbean, Spanish and Indigenous descent in the United States. Find the complete Latinx Heritage month Calendar here. National Latinx Heritage Month has been observed from September 15th to October 15th in the U.S. since 1988. It takes place during this time period to honor the independence days of several countries, including Costa Rica, El Salvador, Guatemala, Honduras, Nicaragua, Mexico and Chile, as well as Día de la Raza, a significant cultural celebration observed in Argentina, Chile, Costa Rica, Ecuador, Honduras, Mexico, Uruguay and Venezuela. “Latinx” (La-teen-ex) is an inclusive term used to include all gendered and non-gendered identities of peoples with Latin American ancestry. “Latinx” specifically refuses to further silence and erase trans (non-binary and binary), gender non-conforming, non-binary, and genderqueer people. Learn more at the month’s LatinX: Why the X? workshop! September 18th from 2:00-3:30pm in the Inclusive Excellence Center Union 119. While the term has been in use for over five years by community members, the gender-neutral term is now officially in the dictionary!